KOSUN patented shaker is an equipment with welded structure. Vibration motor & screen plate base are installed into screen basket with special parts. Screen basket is fixed on the adjustment beam. At each of the four vertexes of the screen basket there is a vibration damping spring, which can prevent the adjoining parts and devices from being affected by the vibration. There are several screen panels on screen basket, and they are fixed and adjusted by snap-on screw bolts and hooking tensioners so that the combined effect of horizontal and vertical supporting bars may provide enough strength for screens basket. 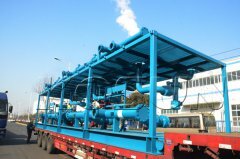 And the panels appear in an arched shape, thus making the panels more easily tensioned and more intimately connected with the frames, blessing them with longer service life as well as increasing the processing efficiency of particles. The patented lifting system allows for easy and quick operation, and simple maintenance. Compared with the usual lifting device of hydraulic cylinder, AWD deck angle adjustment system enables one person to steplessly raise or lower the screen basket from -1℃ to +5℃ without interrupting operation only by turning the handle, which is convenient and efficient. The angles at left and right sides of screen basket are synchronously adjusted, which is more convenient and stable, and can avoid the common mud deviation. The rolling pulley structure is more labor-saving than the sliding type. The mud returned from the well or cuttings to be treated will flow into the shale shaker via the feeder. The feeders can be categorized into weir type, box type and bucket type. 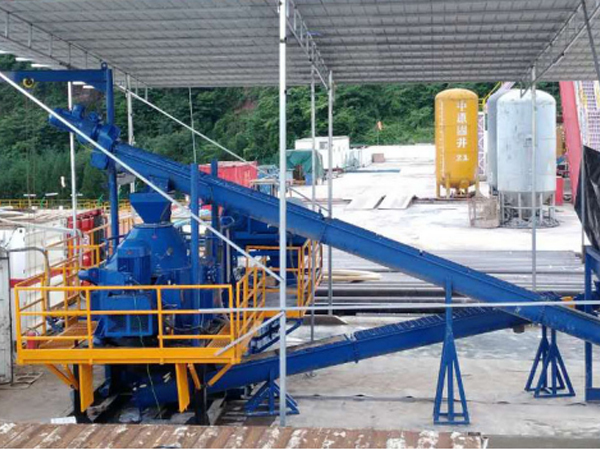 The weir type and box type feeders are mainly used to buffer the flow rate of drilling fluid and evenly distribute the fluid onto the screen to reduce the impact of drilling fluid on the screen, extend the service life of screen and improve the treatment effect. 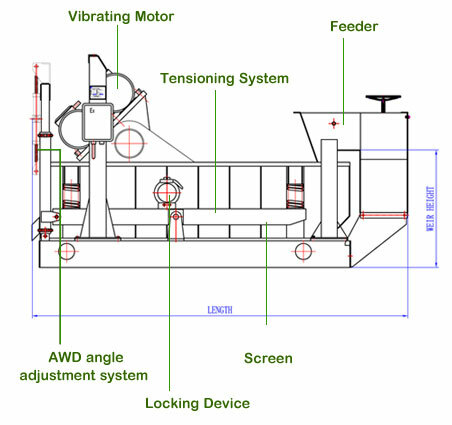 Besides, the weir type feeder can also short-circuit the machine if necessary. The bucket type feeder is mainly used with the dryer shaker to collect and distribute cuttings. It adopts a self-locking structure, possesses a reliable performance and can be easily operated. It only takes 30 seconds to lock or unlock the screen box. On the market, most shale shakers are fastened by bolts, the operation consumes more time and labor, and fasteners are easily lost. 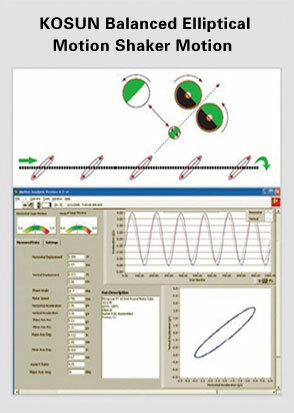 The tensioning system is stable in performance and reliable in structure, which experiences 15 years of field use. It can effectively tension KOSUN Series Screens. 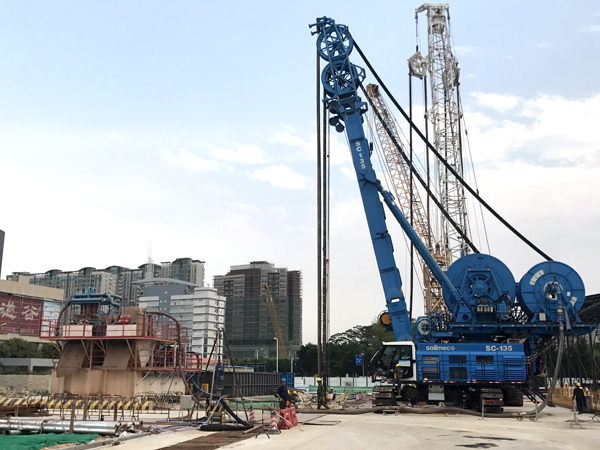 KOSUN Shale Shakers apply Italian Oli Explosion-proof Motors, which can effectively guarantee the power supply, stability and security of the equipment in the well site environment. The structure consisting of framework layer, supporting layer and working layer allows the screen more durable. KOSUN Linear Motion Shaker is especially effective while drilling top-hole sections where heavy and high-volume solids are usually encountered. In these intervals, shakers may generate powerful G-forces and its effective vibrating motion can quickly remove the dense solids from screens and particles from wells. 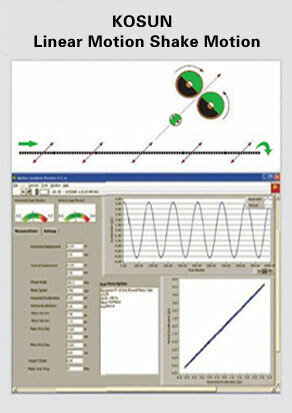 Remarks Treating capacity test from mud: 1.2g/cm3density & viscosity 45s & API 40 screen for single Deck. Screen Size 33'' x 42.5'' 46" x 24" 46" x 23" 49" x 25" 49" x 25" 44" x 28" 41 1/2" x 27 1/2" 41 1/2" x 27 1/2"
Weir Height 35'' 26.5" 29" 41" 41" 38.8" 39" 41"
(L x W x H) 125'' x 74'' x 64'' Top Feed 105" x 68.75" x 61" Weir Feed 125.5" x 68.75" x 61" 120" x 63" x 51" 120" x 65" x 65.6" 124.25" x 70" x 64" 108.7" x 73.6" x 59.5" 116" x 69" x 61" 140" x 69" x 61"
KOSUN Balanced Elliptical Motion Shaker has a remarkable advantage in treating high viscosity drilling fluid. Under this working condition, the optimized balanced elliptical motion can effectively remove viscous solids and eliminate larger particles in drilling fluid. Meanwhile, the relatively moderate vibration strength can effectively reduce the screen consumption.